Located just outside downtown Shanghai, Amanyangyun is a unique forest village of modern and historic Ming and Qing dynasty dwellings, tranquil gardens and an enriching Aman Spa. 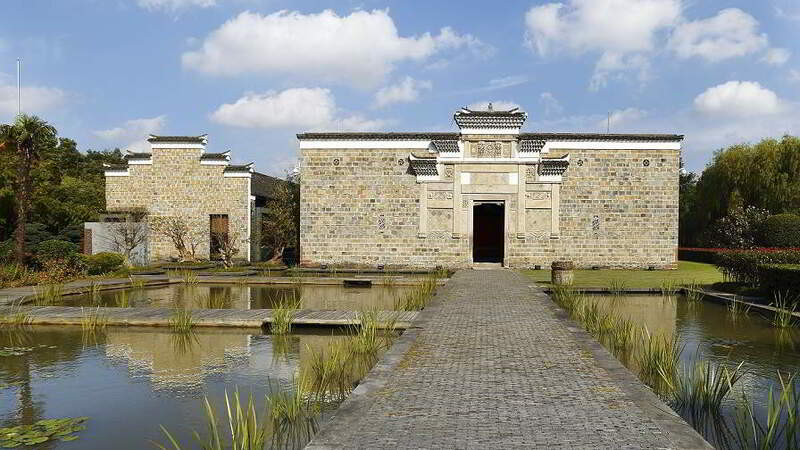 The result of a monumental decade-long conservation initiative, the resort offers fascinating insights into the life and culture of both contemporary and ancient China. Amanyangyun sits at the heart of an ancient forest of camphor trees, some over 1,000 years old and more than 100 feet tall. But despite their remarkable age, these trees are new arrivals to the area, the result of one of the most ambitious relocation and restoration projects in China’s history. When the first guests arrive at Amanyangyun later this year, they will discover an Aman with timeless appeal in an arboreal landscape of lakes and trees - a peaceful sanctuary that is now a living reminder of Jiangxi’s past. The resort is also home to six dining venues, including an all-day dining pavilion, Chinese Restaurant with seven private dining rooms, Club Lounge, informal Lakeside Café, Aman Deli Village Shop, and a 200-seat banquet hall. The resort’s comprehensive Aman Spa, with its idyllic setting is devoted to holistic health, fitness and wellbeing. In addition to its spacious treatment rooms, the spa encompasses extensive thermal facilities, a state-of-the-art fitness centre, two swimming pools and a large yoga and Pilates studio overlooking a reflection pond. Located just outside downtown Shanghai, Amanyangyun is without doubt Aman’s most ambitious project to date. The resort comprises a village of historic relocated and restored Ming and Qing dynasty houses surrounded by an ancient and sacred camphor forest of 10,000 trees. The construction of a reservoir in the early 2000s in the Jiangxi province (some 700km from Shanghai) threatened the area’s historical villages and indigenous camphor trees. In response the project, spanning over a decade, entailed the disassembling, relocation and restoration of the houses and trees in a bid to preserve China’s vanishing past. A rescue team of botanists, engineers, architects and master craftsmen, the latter of which documented fine architectural details for their later reconstruction, together confronted this challenge. The houses were painstakingly disassembled piece by piece, not only revealing their history, but also the ancient building techniques used in their construction. The ancient houses joined the rescued camphor trees on a long journey, via a fleet of flat-bed trucks, to Shanghai where they would later be resurrected in the form of Amanyangyun.